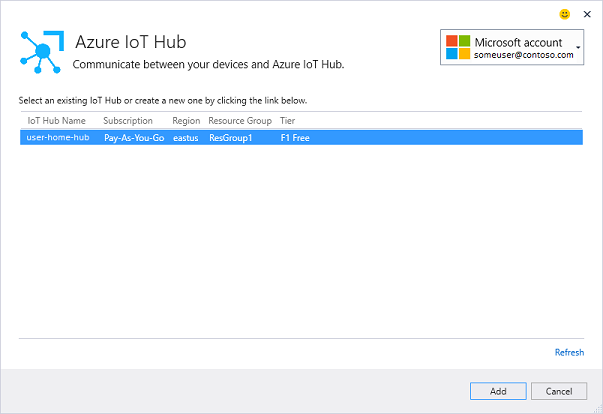 Allows developers to create and connect to Azure IoT Hub easily and with step-by-step guidance. 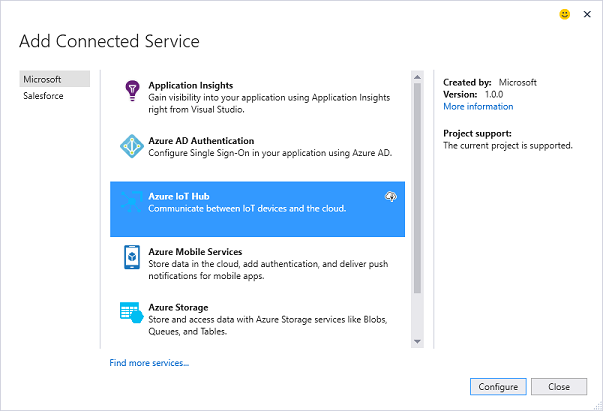 Connected Service for Azure IoT Hub allows you to connect and start interacting with Azure IoT Hub in less than a minute. Switch to AMQP as default protocol (newly supported in the latest SDK). Fixed a bug for accounts associated with multiple Azure subscriptions. When you're done, click "Add". The extension will create a new source file that will be inserted into your project. The new file defines the functions for sending and receiving messages that you can call from elsewhere in your application.